Former Tiger shortstop Brad Miller was called up to the Major Leagues’ Seattle Mariners after he extended his hitting streak to 22 games with the AAA Tacoma Rainiers on Thursday night. Miller will join the club at Safeco Field when the Mariners open a three-game series against the Chicago Cubs starting Friday night. He can join former Tigers Jeff Baker (Texas Rangers), Tyler Colvin (Colorado Rockies), and Tony Sipp (Arizona Diamondbacks) as former Tigers who have played in a Major League game in 2013. Miller earned his promotion to the Majors by hitting .356 with five doubles, one triple, six homers, 28 RBIs, 26 runs, a .426 on-base percentage, .596 slugging percentage, and two steals in 26 games with the Rainiers after a 42-game stint with AA Jackson (TN) earlier this season. In 219 career minor league games from 2011-13, Miller is batting .334 with 56 doubles, 10 triples, 27 homers, and 128 RBIs. 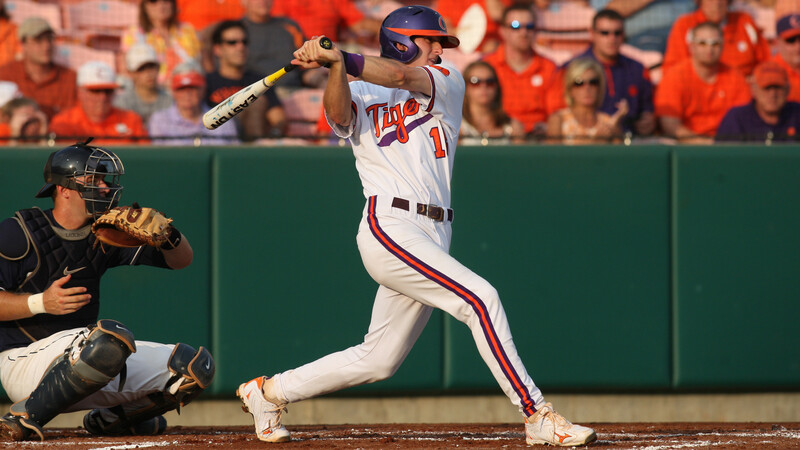 His best season in a Tiger uniform was as a junior in 2011 when he received the Brooks Wallace Shortstop-of-the-Year award as the nation’s best shortstop. Miller, who hit an ACC-high .395 with 53 runs, 11 doubles, three triples, five homers, a .498 on-base percentage, and 21 steals in 54 games, was a first-team All-American and was named ACC Player-of-the-Year. Miller, originally from Windermere, FL and a graduate of Olympia High School, was drafted by the Mariners in the second round with the #62 overall pick in June of 2011. Miller can become the 48th Tiger in history to play in a Major League game, including the 17th Tiger who played under Head Coach Jack Leggett.